Square cut engagement rings have a classic shape that makes them as versatile as they are lovely. The square shape is found in both princess cut and cushion cut, along with many styles of ring that range from vintage to contemporary. Geometric shapes are a good choice for many brides-to-be, flattering most fingers and adding sparkle in a consistent, even shape. If you have been thinking about a square cut ring, but you are not sure quite what sort of style you should choose, these beautiful rings are sure to inspire! Rose gold remains a popular choice, for good reason. Romantic, feminine and rosy, this metal pairs especially well with diamond engagement rings. One of the most classic styles in square cut rings is the pave encrusted stone that is set to sparkle with maximum impact. 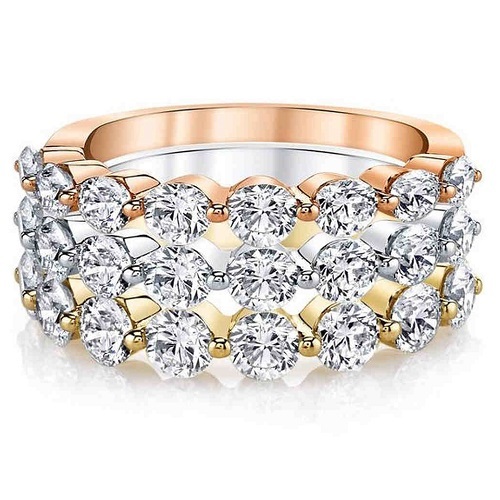 While this style works in every metal, it is particularly pretty with a rose gold band that adds a soft contrast to the cool tone of the diamonds. If you are not a huge jewellery fan, you will love this minimal, simple ring with a modern geometric touch. A solid band in yellow or rose gold, or even platinum, will add to the subtle beauty of this ring. The square cut diamond is set securely into the ring at an angle, with the delicate stones encrusted into the band adding a touch of sparkle in an elegant, understated way. This style is great for those who live active lives, as well as tomboys who don't usually wear rings very often. Three stone rings are loaded with romantic symbolism. The stones are said to represent the past, present and future. 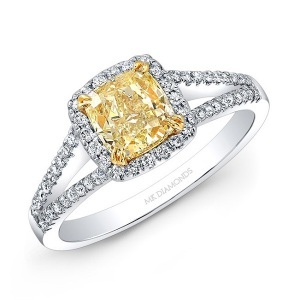 The style works well with most cuts, but with the square cut, this ring truly shines. 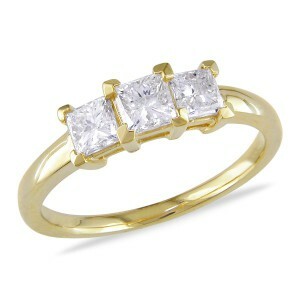 This ring is classic and sophisticated, with a look that will never date. 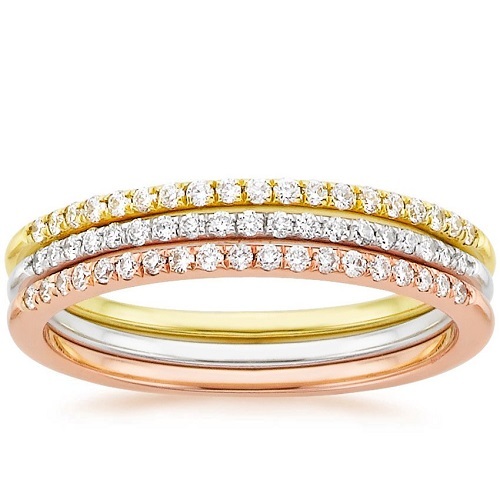 Whether the band is platinum, yellow gold or rose gold, the ring is effortlessly stylish. Split band rings add impact in a way that is not over the top. The band is often encrusted with pave stones, which further add to its overall shape, size and sparkle. A coloured diamond or an unusual gem stone such as citrine, morganite or even opal can all add even more to this style of ring. Depending on how subtle or elaborate you wish the final ring to be, this makes the split shank a versatile style. 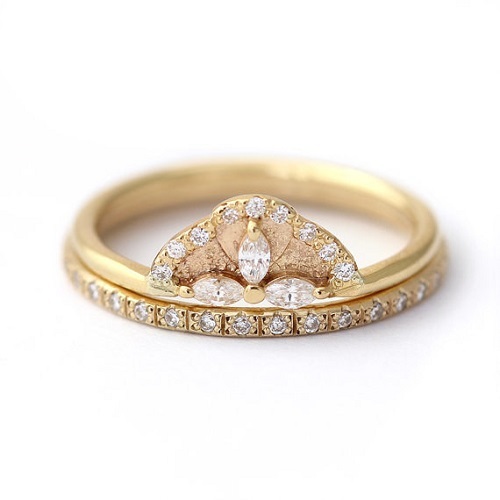 For a vintage style ring, aim for ornate details that add plenty of delicate touches. The square shape adds a perfectly balanced centre, which is surrounded by floral elements. While this ring works very well in a cool tone that creates an even flow between stone and band, it would also work well in any other metal. 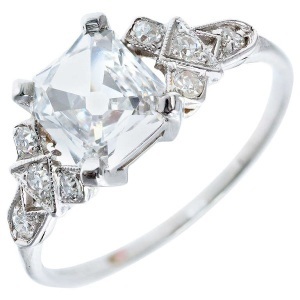 For those who want to feel like royalty, nothing competes with the classic princess halo cut in platinum and diamond. This is the type of ring that not only sparkles to maximum effect, but also gets noticed. The square shape is perfect for halo, adding sophistication without losing the clean shape of the stone. Love the style of the last ring? You can find the princess halo ring at Cape Diamonds along with many other gorgeous princess and square cut engagement rings. Before you get ready to reveal that beautiful engagement ring to your beloved, it is important to avoid falling prey to to the most common myths that surround proposals. While you may think that it is as simple as getting down on your knee and asking that all-important question, your love might not be as thrilled about the way you propose. To understand the best way to go about popping the question, we suggest having a look at these common myths before getting out the engagement ring. Your beloved may cry tears of joy and even a bit of surprise, but brides usually have at least a hunch of what is about to happen. In a survey done by The Knot, 64% of brides said that they know a proposal was in the works, but they just did not know when it would happen. Interestingly enough, 3% said that they micromanaged the process, telling their groom-to-be exactly when, where and how to propose. About 88% of brides stated that surprise is a good thing however. Even if she has a feeling that you might be ready to propose, you can still surprise her by making the event something special that she would not see coming. While it is important to understand the 4 Cs of diamond shopping (cut, carat, colour and clarity), size matters more than you might think. Quality is important, too, of course. In that survey done by The Knot, 68% of brides said that size is just as important as quality. Obviously, not everyone can afford a massive, high carat stone. A good way to ensure a large size is to opt for a cut that maximises the stone's shape and size, such as an emerald cut. Considering that brides will wear this ring for the rest of their lives, it goes without saying that she should have some say in the ring's style. Surprisingly, not very many brides have nothing to do with the ring. Many couples work together to decide on a style, while others shop for rings together. At the very least, you should know what metal she prefers, what stones she likes, what cut she prefers, and what sort of ring style she favour prefers. Taking a wild guess may end up with her having to wear a ring she is not hugely in love with (never a good thing). In the movies, the scenes where women are wooed by a proposal done in a busy sports stadium, with thousands of fans cheering on, or in the middle of a train station, with a flash mob provided for effect may look amazing. In reality, very OTT, very public proposals can be overwhelming and a little embarrassing. 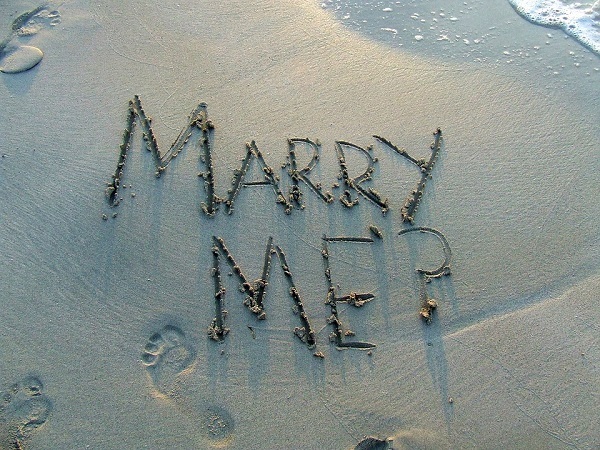 Pressuring her in front of a crowd to say yes to your engagement ring might not have the effect you want. Instead, aim for a personal, private moment. It is absolutely imperative that you source your ring through a reputable jeweller who deals in conflict-free diamonds. While the 'green' movement may seem like a fad, ethical diamonds are the only sure-fire way to know that your diamond has not been obtained from a war ridden destination that deals in blood diamonds. Once you have put some thought into what not to do, it will be easier to start planning a proposal to remember. 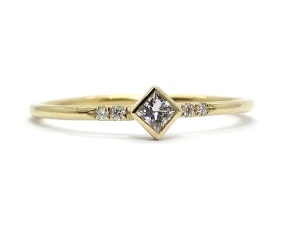 A stylish choice for brides-to-be, stacked engagement rings are also functional and practical. These rings can be designed along with a wedding ring to create a set, or they could be stacked to form a layer of two or more rings. Whether metals and stones are mixed and matched, or rings are stacked in a single tone or style, the effect of stacked rings is always spectacular. This style suits just about every taste and preference. Many stacked rings feature delicate rings that can be layered without adding bulk. But, for those who prefer a bolder look, there are also many eye-catching designs that add plenty of impact. Depending on how it is worn, stacked rings can feature the bolder ring on the top or on the bottom. This also allows more variation, allowing you to change your look depending on your mood. 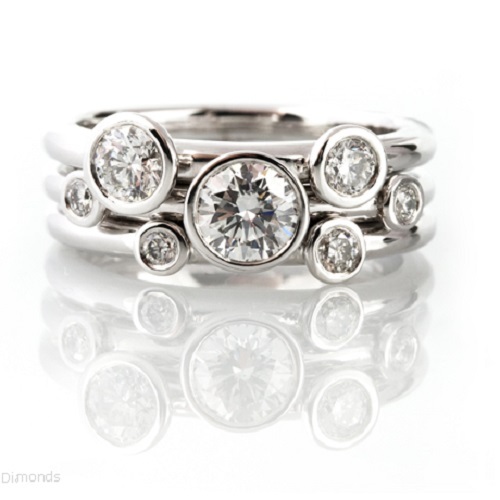 In this mini guide, we take a look at some gorgeous examples of stacked engagement rings to give you some inspiration for your custom ring design. You can print this guide out and show it to your jeweller to give him an indication of the styles you like. Dreaming of a beautiful stacked engagement ring? Here are some ideas to help you get inspired! This ring consists of a simple pave band, which is topped with a vintage inspired fan shaped ring that has delicate marquise cut diamonds arranged in a petal shape. 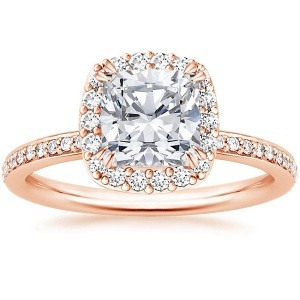 While the ring works well in gold, it would also work in rose gold or platinum. It would even work well for a two tone effect, mixing rose and yellow gold or yellow gold and platinum, or rose gold and platinum. It would also work with coloured diamonds, which would make a bolder, dramatic ring. Two tone rings are a great way to add detail to a delicate ring. 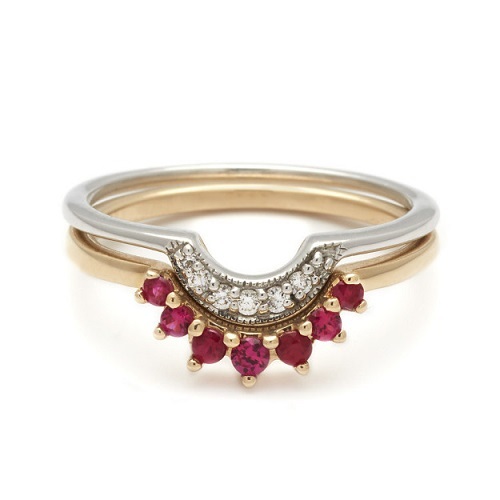 In this ring, the bottom ring is an elegant ruby fan set on yellow gold. The top ring is a cool toned metal, likely platinum, set with white diamonds. What makes this ring work is that the rings are similar in style and shape, even though they have contrasting stones and metal. 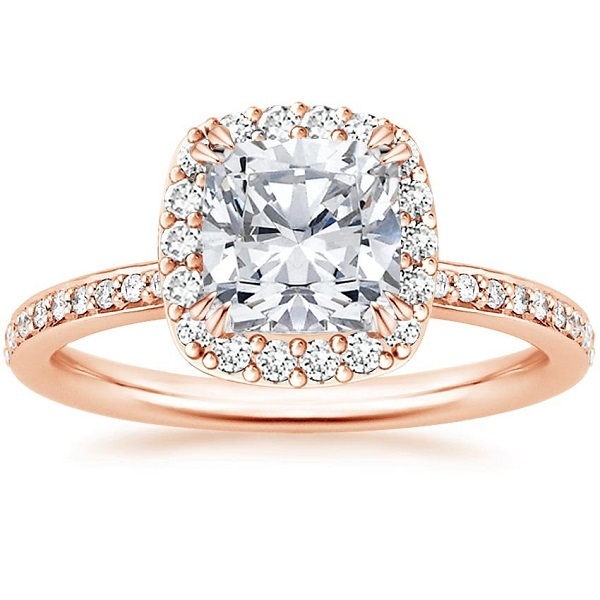 Rose gold is a classic choice for the modern bride, adding plenty of femininity and softness. This metal pairs especially well with white or coloured diamonds. When stacked, the rings have additional sparkle, while still retaining their subtle sophistication. If you favour an elegant yet understated style, this one is a good choice. A similar look is achieved with the floating diamond style, which features multi tone rings that are encrusted with small diamonds. This ring also adds sparkle without being over the top. The combination of warm and cool metal further adds to its allure. One way to add visual interest in a subtle way is to choose a single metal and stone, then layer rings with simple settings to add volume. Adding contrasting diamond sizes, with a few stones scattered strategically around the band will allow the layers to fit together seamlessly. 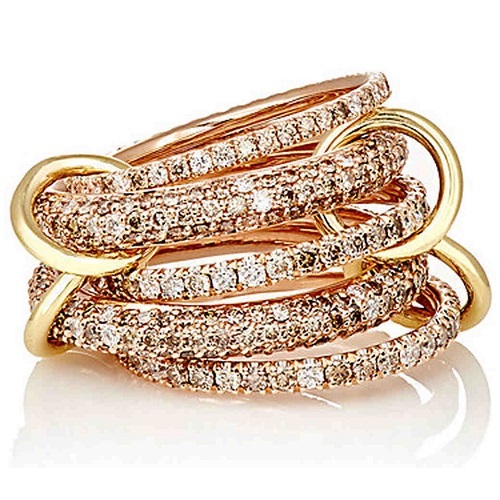 Yet another example of subtle stacks is this layered ring made up of delicate, dainty bands that are encrusted with pave stones. As we saw in the rose gold example above, this can work well in a single metal. But it also works well when contrasting metals, in a way that is more understated than the floating diamonds ring above. 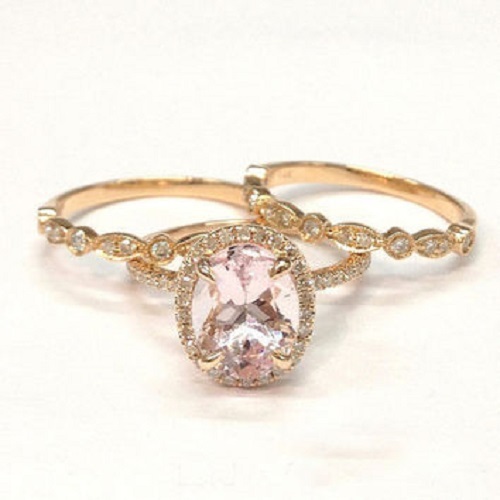 Morganite has gained popularity in recent years, working especially well with rose gold and yellow gold. The soft, muted tone of this stone makes it warm and elegant without being too flashy. A halo setting on a pave encrusted band, paired with a simple stone encrusted band result in an extremely romantic stacked engagement ring. Ready to turn your engagement ring dreams into a reality? 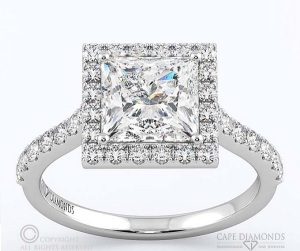 Cape Diamonds offers high quality custom engagement ring design in Cape Town. Contact us today to find out how you can create the perfect stacked ring.